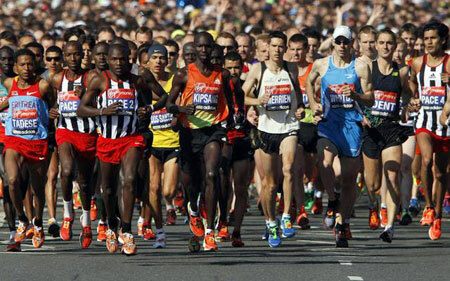 6 of the world's 10 fastest marathon runners lined up at Blackheath, added by Olympic champion Kiprotich and 2012 winners of London, Berlin, Chicago, Frankfurt and Dubai. Olympic champion Tiki Gelena was floored by a motorbike. Finally world champion Edna Kiplagat, former Berlin winnern Florence Kiplagat and silver medallist Priscah Jeptoo (all Kenya) make the trio fighting for victory. 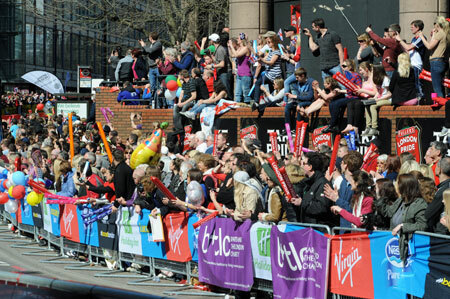 BBC noted more spectators than ever. Many of them might have come to see Double Olympic champion Mo Farah who does a public workout along the first half of the marathon. 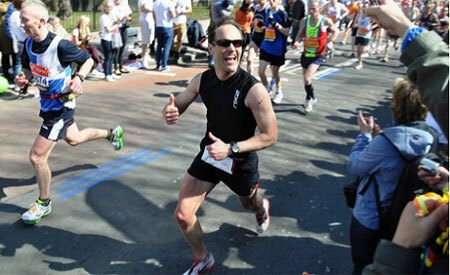 German Ulf Bosch runs his 19th consecutive London Marathon as enthusiastic as ever. 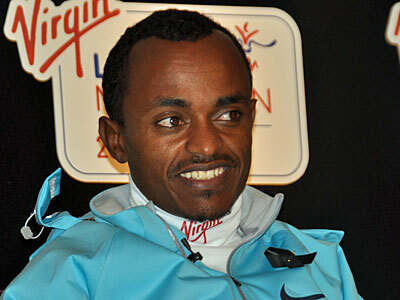 After Chicago 2012 Tsegaye Kebede (ETH) now wins London too, already his second time. Half marathon split time is 61:34 min, a world record speed that was impossible to be continued. Kebede turns out to have the best tactics. and finishes 29 secondes ahead. His time: 2:06:04. 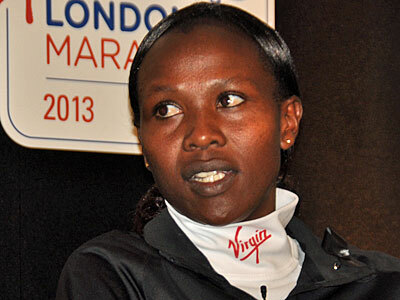 Priscah Jeptoo (KEN) likes the British climate. In 2012 she won the Olympic silver medal on London's roads. 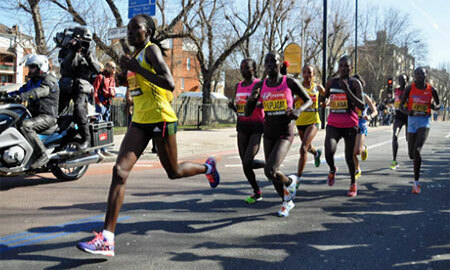 Today she is the most confident runner and believes in her success right from the start. She clocks 2:20:15, just one second slower than her own personal best.